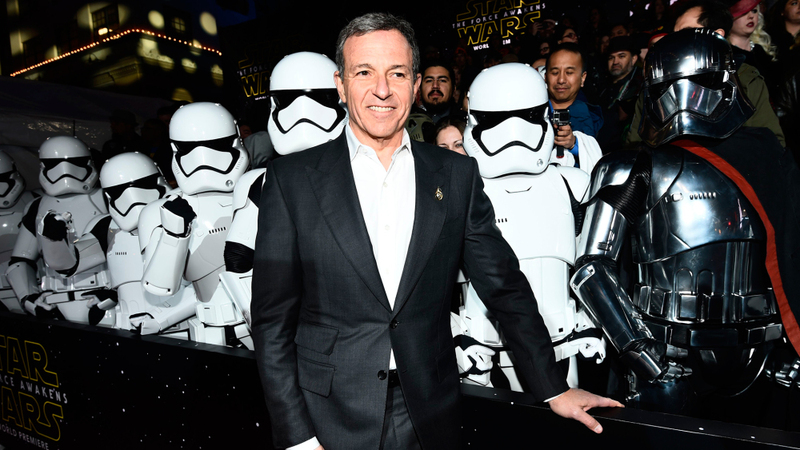 Back in September, Disney CEO Bob Iger promised there would be some slowdown when it comes to the Star Wars films, and today he's sticking to his word. In an interview with Bloomberg TV, he reiterated that the Star Wars films would go on a short "hiatus" after Episode IX. Iger explained, "We will take a pause, some time, and reset, because the Skywalker saga comes to an end with this ninth movie. There will be other Stars Wars movies, but there will be a bit of a hiatus." This is due in part to the disappointing performance of Solo: A Star Wars Story at the box office, as well as a dip in toy sales. The movies from Game of Thrones showrunners David Benioff and D.B. Weiss, as well as the trilogy from The Last Jedi writer/director Rian Johnson, are still in development however. There will just be a break between Episode IX and those films (Johnson said this week that he's about to start working on the first film in his new trilogy, now that work on his upcoming film Knives Out is complete). During this film hiatus, Lucasfilm and Disney will focus more on Star Wars TV projects like the Disney+ series' The Mandalorian, the untitled Cassian Andor prequel, and the return of the animated series Star Wars: The Clone Wars, as well as the Disney Channel series Star Wars Resistance. Not to mention the fact that Galaxy's Edge, the long awaited Star Wars theme park expansion at Disneyland and Disney World, will be open. In the meantime however, we have Episode IX to look forward to (I'm writing this from the panel room at Star Wars Celebration where the film's director JJ Abrams will preview the movie for the first time in just a few minutes). There's still lots of Star Wars to look forward to, far more than there was 10 years ago, so even though the series will take a break from the silver screen, it's not really going away any time soon.